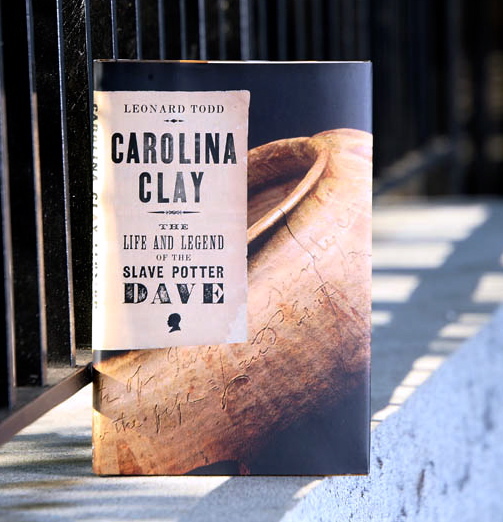 Born about 1801, Dave was taught to turn pots in Edgefield, South Carolina, the center of alkaline-glazed pottery production. His jugs and storage jars were everyday items, but because of their beauty and sometimes massive size, they have become symbols of the skill and determination of the Southern slave. Dave learned to read and write in spite of a longstanding bias in the state against slave literacy. He signed his pots and inscribed many of them with poems. Though his verses spoke simply of his daily experience, they were powerful statements. He countered the slavery system not by writing words of protest but by daring to write at all. While still a young man, Dave lost one of his legs in a railway accident. No longer able to operate the foot treadle that turned the potter's wheel, he teamed with another slave, Henry, whose arms were crippled but whose legs were strong enough to drive the wheel. Together, they produced what was considered the "best ware in [the] country." Dave survived other trials—he was forcibly separated from his loved ones in a slave sale in 1847—to become a free man at the end of the Civil War. His free name was David Drake. Though his last years were troubled by Ku Klux Klan violence, he continued to make his astounding pots, many of which are found now in America's finest museums. When Leonard Todd discovered that his family had owned Dave, he moved from Manhattan to Edgefield, where his ancestors had established the first potteries in the area. Todd studied each of Dave's poems for biographical clues, which he pieced together with local records and family letters to create this moving and dramatic chronicle of Dave's life—a story of creative triumph in the midst of oppression. Carolina Clay, published by W.W. Norton, can be ordered on the Internet at Amazon.com, BarnesandNoble.com, and Powells.com, among other sites.